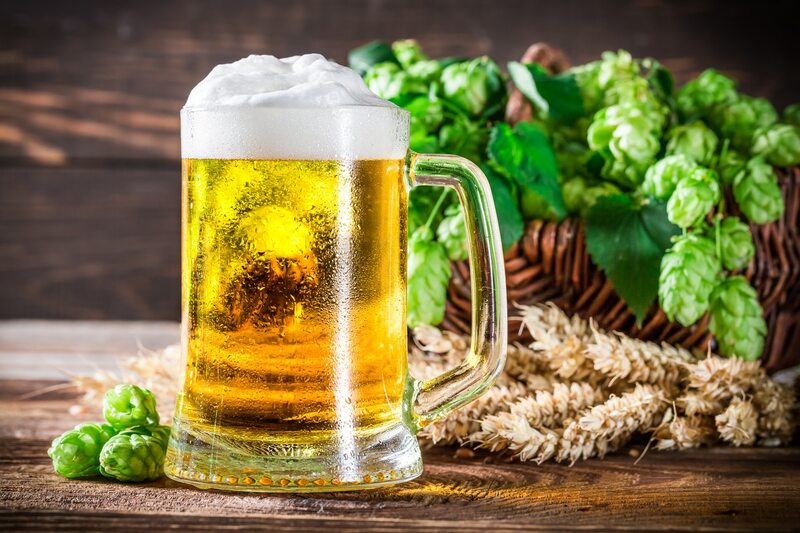 Grow your own beer… well Hops! 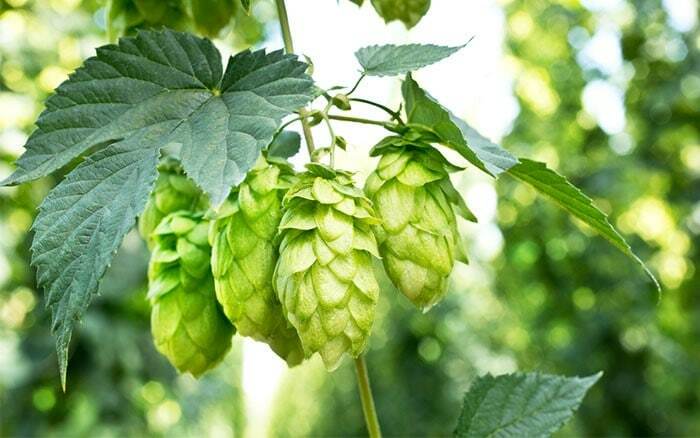 The flowers of the hop plant are widely used in the beer brewing process to add an array of distinctive aromas, zesty and bitter flavours to beer. If you’ve ever thought about growing your own hops to create your own unique homebrew, then I’d encourage you to go for it—it’s so easy to do! 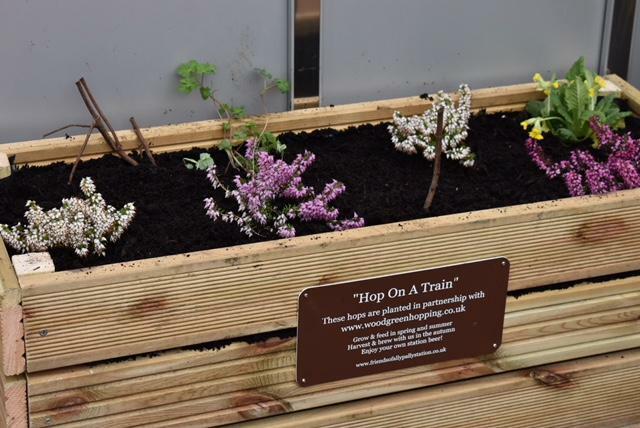 The hops in the photo are at the beginning of the process and are located at Alexandra Palace station in London. Click here to read about Ally Pally Station and their venture to make home grown station beer! You need to acquire a hop rhizome. These are the roots from which hops grow and they can easily be bought online. Make sure you buy your rhizome from a certified disease-free source. Next, you need to think about the plant placement. 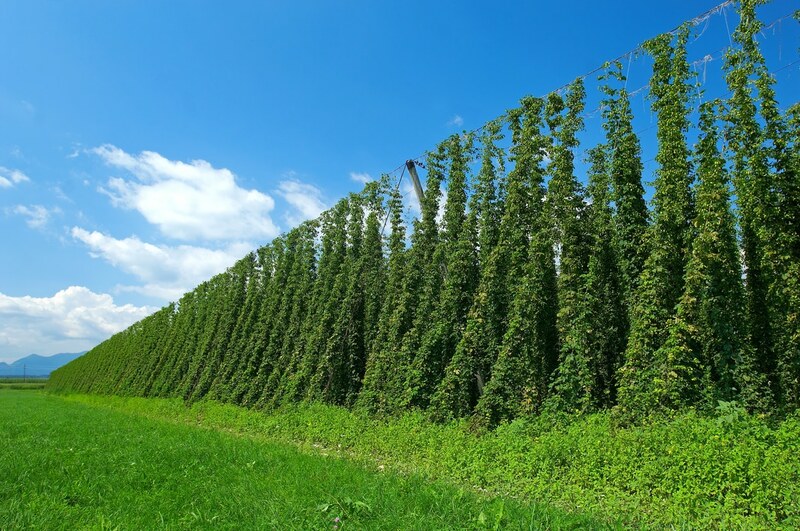 Hops are climbing plants that grow rapidly—sometimes putting on 12 inches of growth in a single day and reaching up to 25 feet when fully grown—and they need solid support to grow well. They initially grow vertically, up to the height of their support, and then produce side shoots on which the flowers are born for a total width of about 8 feet. So, it is important to plan carefully and invest in a support system that will last. A house eaves trellis system allows the vines to twine around a fan of strings attached to the eaves overhead, whilst having a pulley system for easy harvesting. Other options include clothes line trellis systems or a tall wigwam of bamboo canes. Since hops are sun-loving plants that prefer a sheltered spot, you need to take this into consideration when choosing where to create support for your vines. Now your support system is in place, you are ready to plant!! Hop rhizomes should be planted in winter, into a deep hole with the tip of the new shoot just below the ground. They thrive in the same soil type as potatoes, so use a well-rotted manure and an organic fertilizer and remember to water them well after planting to enable the rhizome to settle. As the growing season begins, the plants will need plenty of water—but beware, as overdoing it can cause root rot. 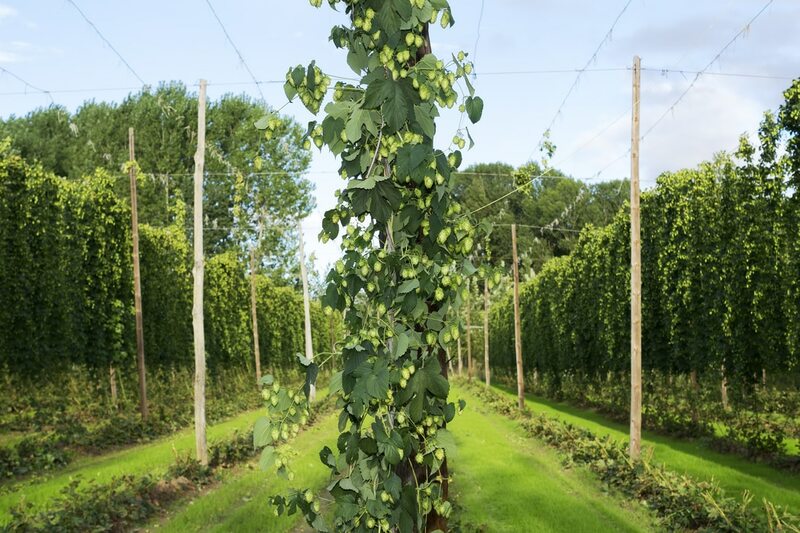 Ideally, hops should be watered deeply, with water penetrating right down into the soil around their roots, 2-3 times per week depending on the weather. If you are unsure when to water, you can buy sensors that can be pushed into the soil to test the moisture level at a plant’s roots, which let you know when the soil is too moist or too dry. The vines will reach their full height by Summer and usually ready to harvest later in the summer or early autumn. In your first year, the crop will be smaller because the plant’s energy is going into establishing good strong roots in the early stages. A better crop will be achieved in the second year, and a full crop by the third when the plant is fully mature. 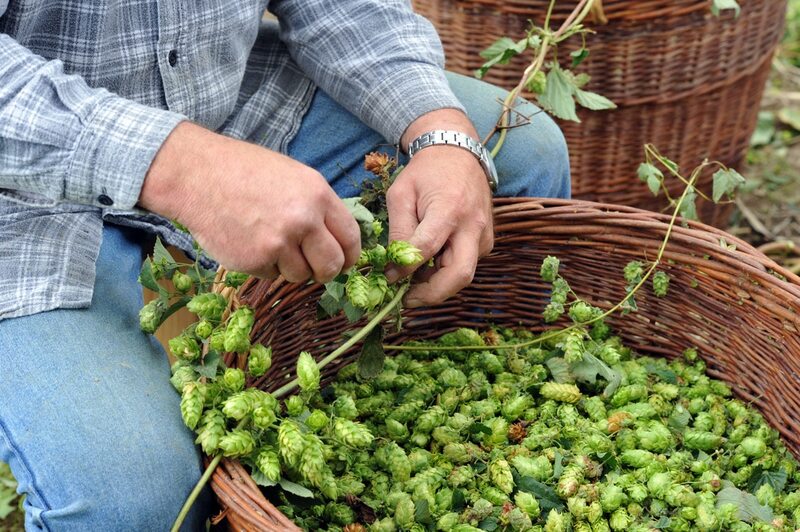 Before picking the cones, give them a squeeze—they should feel light and dry and should spring back when compressed. If they are not at this stage yet, leave them a little longer as the flavour will really improve in the final stages of ripening. Care should be taken when harvesting the cones as the foliage is sharp and can cut bare skin—wear protective gloves and a long-sleeved top. STEP 6 - Drying and enjoying the Hops - Cheers! The next stage in the process is to dry the harvested hops. 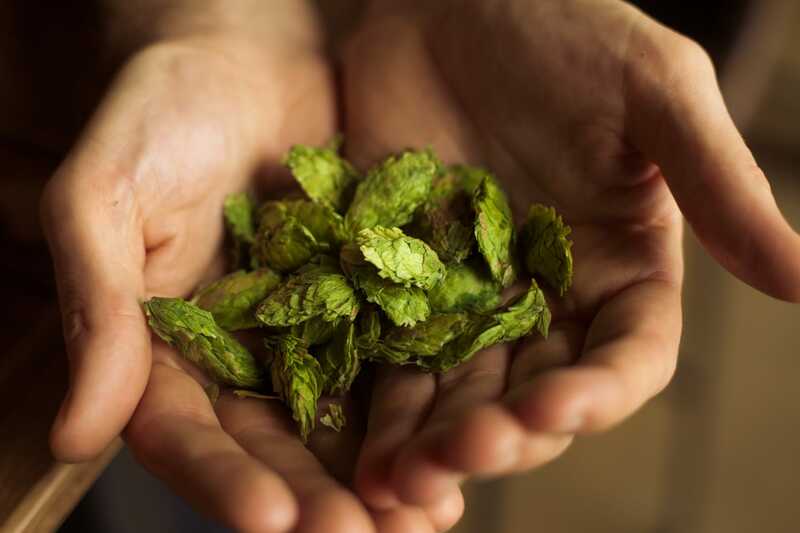 The dried hops are what give your beer that delicious hoppy taste! Add them in during the fermenting process for differing amounts of bitterness, taste or add them after the beer is fermented for the heady smell without the bitter flavour. 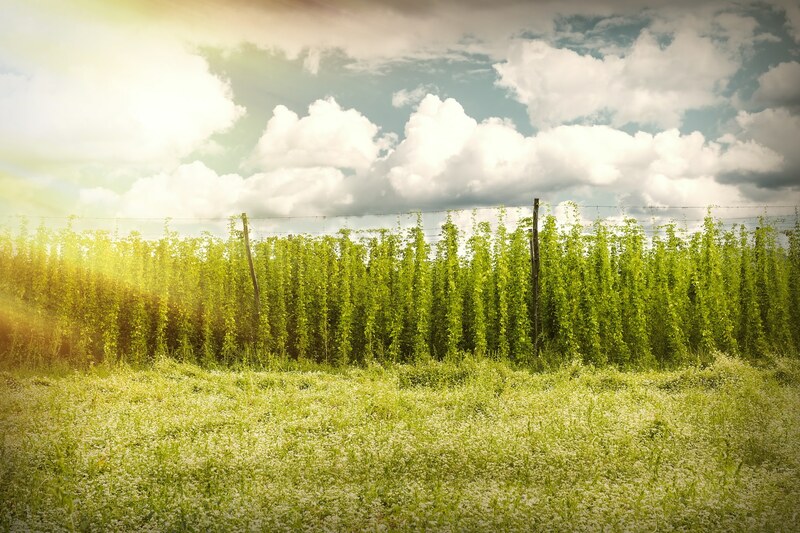 Hops are perennials that return year after year. They also spread very quickly, so if you want to avoid this, trim the roots back in spring by sinking a spade into the soil around the root boundaries. This will sever any roots that are growing outside of the desired area and stop them from taking over your garden!